Fowler’s move has caused a rumble in the golf market with the four-time PGA TOUR winner (he has also won twice in Europe, once in Asia and the 2017 Hero World Challenge) switching from Titleist, a ball he’s played his entire career. It was a move months in the making and will see the 30-year-old start this week’s Farmers Insurance Open at Torrey Pines with the TP5x, as well as a Tour Preferred glove. ‘It’s been fun to see what the ball can do,’ Fowler said after penning a multi-year ball deal. The big kicker? The ball travels further with his irons and spins more around the greens. Fowler joins the likes of Dustin Johnson (TP5x), Jon Rahm (TP5x), Rory McIlroy (TP5) and Jason Day (TP5x) in playing the TaylorMade ball. ‘A lot of the best players in the world are playing pretty damned well with them. It’s no joke,’ he said. In fact, it was Johnson and the Ryder Cup which put the deal in motion, with Fowler and the former world No 1 playing foursomes together. What he learnt about the ball during the week in Paris started the process off as he explored the idea of leaving Titleist. But it wasn’t a clear-cut switch to TaylorMade, with Fowler considering a number of options before testing. 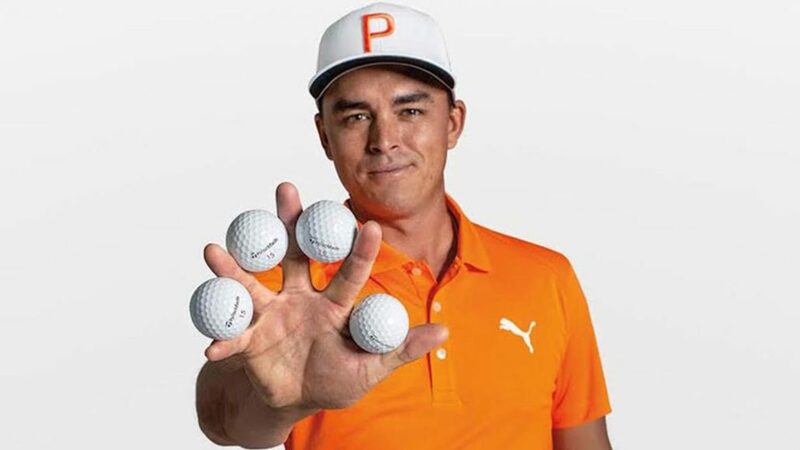 ‘We knew the performance of our golf balls would motivate Rickie and ease the transition away from the ball he’s played his entire career,’ said Eric Loper, TaylorMade’s director of R&D, golf balls. ‘With his decision to choose TaylorMade, Fowler becomes yet another top player in the world to make the switch from the perceived #1 ball to TaylorMade, and that only further validates our product as the best in the world.